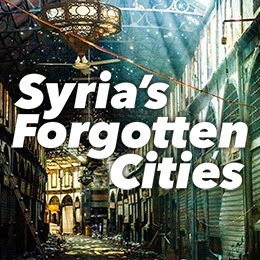 The fourth largest city in Jordan is a Syrian refugee camp. Zaatari camp was intended to hold no more than 85,000 people, but now has a population of over 100,000. In April, Jordan opened Azraq camp. It currently accommodates over 11,000 registered refugees, but is designed to take up to 130,000 people. The total number of Syrian refugees registered with UNHCR is now over 3.7 million. UNHCR data on Syrian refugees. The number of refugees accepted for resettlement by the UK is vanishingly small in comparison. 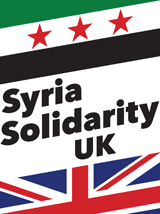 Join us in London on Saturday 31st January for a demonstration to say Syrian refugees are welcome in the UK. Video: Snow in Zaatari Refugee Camp – Jordan Times, Jan 8, 2015. Syrian refugees face abject conditions at the Zaatari Refugee Camp, some 80km northeast of Amman, on Thursday. Snow destroyed several tents and water flooded many others this week. The Norwegian Refugee Council warned on Wednesday that the lack of funds is negatively affecting relief efforts for Syrian refugees during the snowstorm. “Storms, snow and freezing cold are threatening lives among exhausted Syrian refugees in the Middle East. [NRC] fears that the insufficient assistance may have fatal consequences for refugees and internally displaced from Lebanon to Northern Iraq,” the organisation said in a statement.